The Facebook Messenger app now can change network connectivity, which means it can use Wi-Fi without notifying the user. It can make phone calls without asking users, and these calls may cost money. It can send messages to any number without asking the user. As you may have guessed, these messages can also cost money. The Facebook Messenger app can record your audio without your permission or any confirmation. It can use the phone camera to take pictures and videos at any time without asking for the permission. This messenger app can read all data regarding your incoming and outgoing calls without your knowledge. It can also share that log data without asking for your permission. It can read information and data regarding your contacts. It can also see which contacts you have contacted the most, including messages and emails. This messenger can even share this data without your consent. Most of these permissions are definitely violating personal privacy. However, Facebook has an explanation regarding these permissions. The Facebook Messenger app doesn’t spy on photos and videos. It needs control of the camera to let users take pictures and videos via the Messenger app and share those files on their profile. It doesn’t spy on audio content. In order to record voice messages, record videos, and make voice calls, it needs the consent to record audio so that the user could share these files with others through the Messenger app. 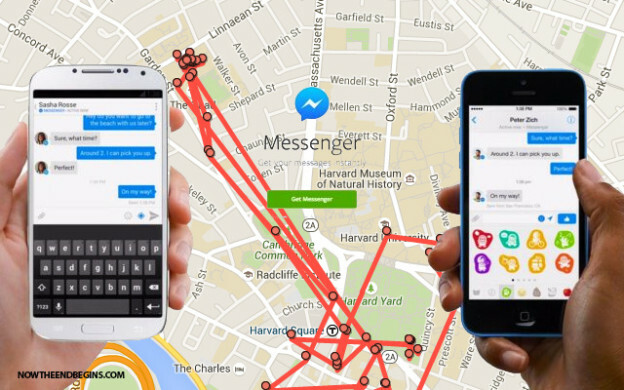 The Facebook Messenger app doesn’t spy on phone calls. It needs the permission to allow users to call each other by simply selecting the phone number of the required person. It doesn’t spy on messages. The Facebook Messenger app needs the user’s consent to read text messages in order to confirm that the messages have been sent by the server during the initializing phase. The Facebook Messenger app doesn’t spy on the user’s phone contacts. It needs the user’s consent to read all the contact data stored on the target device in order to match them with the Facebook contacts. This is not the first time the Android app is asking for ridiculous permissions to work perfectly on a smartphone or tablet, but now people are more aware of them, and they are raising voice. Communication apps cannot spy on your messages without your knowledge, so don’t forget to read terms and conditions regarding different permissions before you make a decision to install one!